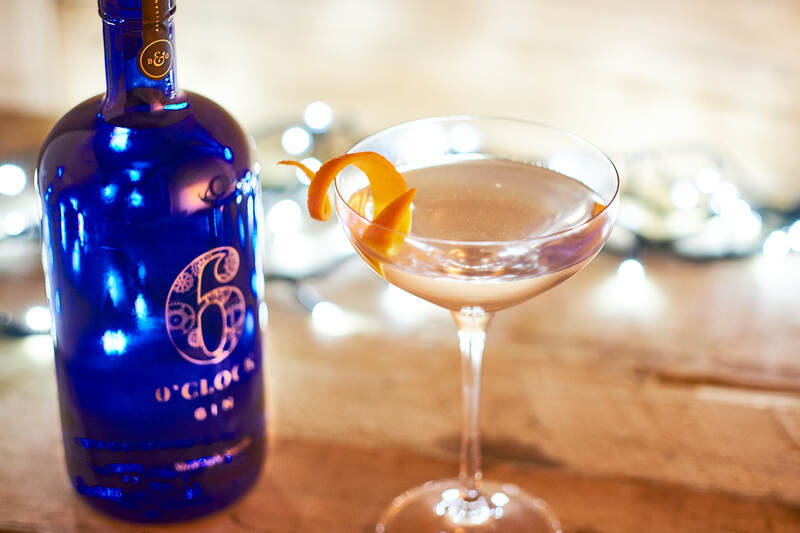 We love a good Martini here at 6 O’clock Gin HQ – and we’re partial the odd bit of festive cheer too! To get into the party spirit, we’d like to suggest a small Christmas twist for your next round of Martini’s! Orange bitters really do go so well with our Strikingly Smooth 6 O’clock Gin, as well as providing a perfect partner to Bramley & Gage’s complex Dry Vermouth. The Martini is a certified classic and is often considered the ultimate gin cocktail because of its simplicity and elegance. We're not ones to mess with tradition (well, not too much! ), but it's nice to add a little seasonal flair; try adding a dash of orange bitters to the mix and give your martini the perfect Christmas treat. Add the 6 O'clock Gin, the dry vermouth and the bitters and stir with a long spoon to combine and chill the drink. Dates From: Potentially as old as the 1840's, but in truth, unknown. Key Flavours: Pure and clean with a gentle orange note thats plays off beautiful against the 6 O'clock Gin botanicals and the Dry Vermouth. Background: The origins of the Martini can be traced back to numerous stories, some of which either reference (or look very similar to) the Martinez. The main thing to consider when making your own Martini at home is the ration of Gin to Vermouth; the temperature that you serve it at and the presentation. With only 3 ingredients to work with in this Festive Martini, the difference between a glass of cold gin and great tasting Martini is all about technique. Pre-chill everything in the freezer, make sure your glass is the right size (7oz - 9oz) is ideal, and don't wait for it to get warm! You can find more information on the classic Martini, as well as lots of other classic gin cocktails in our Classic Cocktail series.